Bred and owned by Jean Ternynck and trained by Ettiene Pollet in Chantilly, Sea Bird was acknowledged as a smart juvenile in his native France, although he was overshadowed by his precocious stable companion Grey Dawn, who had beaten him 2 lengths in the Grand Critérium, now the Prix Jean-Luc Lagardère, at Longchamp. However, Sea Bird went from strength to strength as a three-year-old, starting his campaign with a comfortable 3-length victory in the Prix Greffulhe, over 1 mile 2½ furlongs, at Longchamp in April. Six weeks later, Sea Bird faced Cambremont, who had already beaten Grey Dawn in the Poule d’Essai des Poulains – the French equivalent of the 2,000 Guineas – and the hitherto unbeaten Diatome in the Prix Lupin over the same course and distance. He won by 6 lengths, eased down. Sea Bird started 7/4 favourite for the Derby at Epsom and, off a generous pace, overhauled the leader, I Say, with a furlong-and-a-half to run. He was momentarily ridden to assert his dominance, but was back on the bridle by the time he crossed the line. Officially, he beat Meadow Court, ridden by Lester Piggott, by 2 lengths, but the official winning margin by no means does him justice. 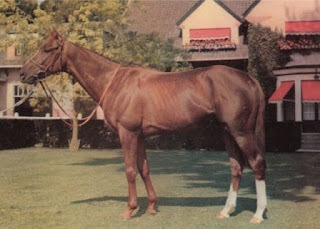 If jockey Pat Glennon had committed for home at Tattenham Corner, as Walter Swinburn did years later, it might be Sea Bird, rather than Shergar, who holds the record for the longest winning margin in the history of the Epsom Classic. Sea Bird next contested the Grand Prix de Saint-Cloud – which, in those days, was open to three-year-olds an upwards – and, after pulverising the opposition, was given a break until the Prix de l’Arc de Triomphe at Longchamp in October. On that occasion, he lined up against the crème de la crème of middle distance talent from Europe and North America, including hitherto unbeaten compatriot Reliance and Preakness Stakes winner Tom Rolfe. However, even such admirably formidable opposition was no match for Sea Bird, who powered clear in the closing stages to beat Reliance by 6 lengths, with Diatome a further 5 lengths away in third. Sea Bird was rated 145 by Timeform, making him the second highest rated horse since World War II, behind Frankel. 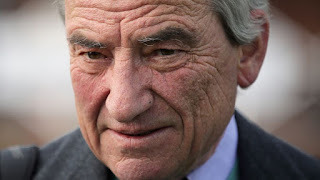 Italian Luca Cumani is one of Britain’s leading racehorse trainers, who has experienced success in the UK and around the world. Training some of the highest-profile racehorses of his generation he’s achieved major wins, including at seven British Classic races, the Breeders’ Cup Mile and the Arlington Million. The son of champion amateur jockey Elena and champion trainer Sergio Cumani, Luca always knew racing was his destiny and was inspired from an early age to follow in his parents’ footsteps. Drawn to Newmarket he arrived in the U.K. in his early twenties and landed a role as assistant to legendary ten-time champion trainer, Sir Henry Cecil. He soon established his own training stables at Bedford Hourse in 1976, where continues to work to this day. From there he’s trained hundreds of winners including Epsom Derby victors Kahyasi (1988) and High-Rise (1998) and the 1994 St. Leger Stakes winner Commanche Run. Cumani has claimed victory at all Britain’s major racing festivals including winning the King George VI and Queen Elizabeth Stakes once, the Queen Elizabeth II Stakes twice and the St James’s Palace Stakes twice. His achievements have continued abroad with major wins at the Irish 1,000 Guineas twice, the 2,000 Guineas and the Irish Derby and in Hong Kong at the Hong Kong Cup and Queen Elizabeth II Cup. After working under racing great Henry Cecil, Cumani has gone on to cultivate his own reputation as a mentor to trainers and jockeys including Frankie Dettori, Jason Weaver and Nicky Mackay. Sometimes, names for horses can feel a little confusing. When it comes to Minding, though, it’s quite fitting: most of the time, it’s minding its own business waiting at the end of the race for other horses! An incredibly powerful horse that has picked up a huge set of wins since 2015, its most recent being the Mooresbridge Stakes in early 2017, Minding is a modern horse of incredible power, strength and stamina. Having already formed an impressive career record and being named the top-rated three-year-old filly on the planet, Minding has become a bit of a name within the world of horse racing. 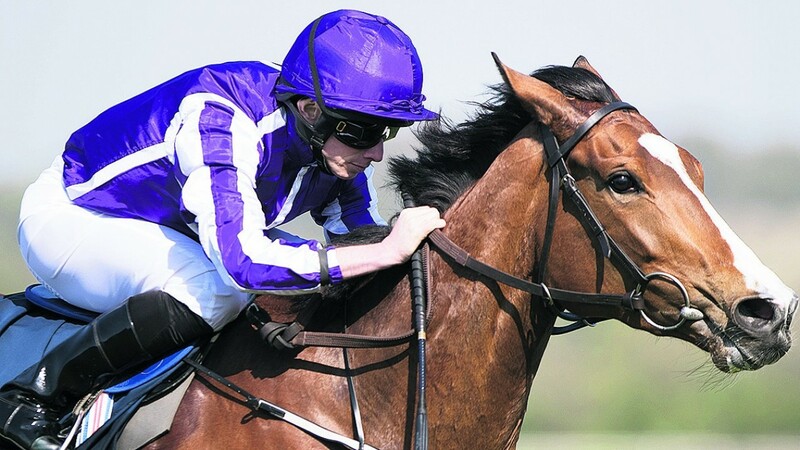 Starting out in 2015, the impressive Minding started out her racing career ridden by Seamie Heffernan at the Leoardstown Racecourse. Losing out on the final furlong of the race, it won a repeat of the race a few weeks later and thus a career was suitably established. 2015 witnessed Minding pick up its first trophy at the Moyglare Stud Stakes in 2015, followed by the Filles’ Mile and the 1000 Guineas in 2016. It quickly settled into the competitive nature of the sport, establishing a name for itself with wins at the likes of the Epsom Oaks and the Pretty Polly Stakes. 2016 seen it finish up with impressive wins at the Nassau Stakes and then the Queen Elizabeth II Stakes. So far in 2017, she has picked up a major win at the Mooresbridge Stakes – with the likelihood and the opportunity of even more to come in the future. Now entering her four-year-old season, it’s going to be very interesting to see how she continues on along her career path moving forward. Having defeated the likes of Moonlight Magic recently, too, it’s easy to see why such a high opinion of Minding already exists. Associations – Aidan O’Brien, Derrick Smith, John Magnier, Michael Tabor, Chelston and Wynatt, Orpendale. 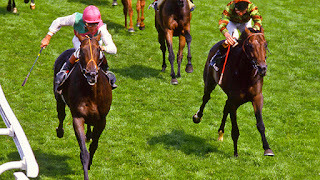 Dancing Brave, owned by Prince Khalid Abdulla and trained by Guy Harwood, was officially the second highest rated horse on the Flat since official international figures were first published in 1977. Only Frankel was rated higher and, even then, only after a “historical recalibration” of the rankings in 2013, which downgraded Dancing Brave from 141 to 138. 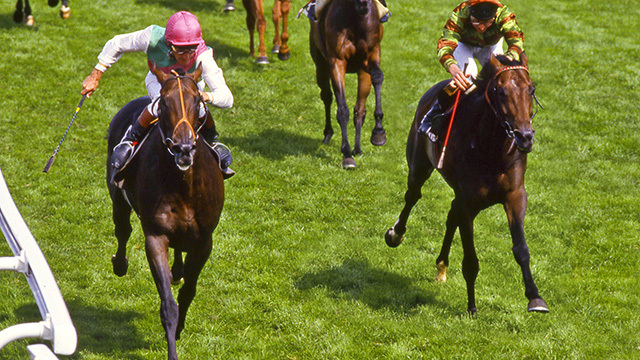 During his career, Dancing Brave won eight of his 10 races, including the 2,000 Guineas at Newmarket, the Eclipse Stakes at Sandown, the King George VI & Queen Elizabeth Stakes at Ascot and the Prix de l’Arc de Triomphe at Longchamp, and was named European Horse of the Year for 1986. An unimposing son of Lyphard, Dancing Brave made his racecourse debut in the Dorking Stakes at Sandown in 1985, which he won convincingly. Guy Harwood later recalled, “[Stable jockey] Greville Starkey got off and said, ‘This horse is my Derby ride.’” Dancing Brave followed up, in similar style, in the Soham House Stakes at Newmarket, and went into winter quarters as favourite for the 2,000 Guineas. On his reappearance, he started favourite for the Craven Stakes at Newmarket, which he won emphatically. On his return to Newmarket for the 2,000 Guineas, he came with a powerful run going down into ‘the Dip’ and quickened clear in the closing stages to beat Green Desert by 3 lengths, with jockey Greville Starkey looking around for non-existent dangers.